GIVEAWAY | One person will receive all 12 archive issues of Masterful Scrapbook Design. $188 value. Subscribe during August to get the entire bundle, your first month subscription, and the e-class "Learn Scrapbook Design Principles" for $112. Monthly subscription is $12.50 and can be canceled at any time. Each of the 12 archive issues includes: seminar on focus topic in pdf and audio formats, designer galleries with 60+ annotated layouts (pdf), 4+ guest teacher tutorials (pdf), video and audio recordings of webinars with each guest designer. The entire collection includes 47 video/audio recordings to take with you as you drive, work, scrapbook, wait, or even relax. Compatible with ipad/iphone. TOPICS COVERED | Color, Layering, Details, Events, Journaling, Titles, Inspiration, Patterned Paper, Stash Busting, Photos, Fast Starts, and Smorgasbord (interviews with 24 designers on 8 current scrapbooking topics). Over 30 guest teachers contributed layouts, comments, lessons, and webinar interviews. Paper scrapbookers: Doris Sander, Dina Wakley, Jenni Bowlin, Lisa Dickinson, Karen Grunberg, Tania Willis, Cindy Liebel, Lain Ehmann, Sharyn Tormanen, Emily Pitts, Noell Hyman, Keandra Willis, Vee Jennings, Francine Clouden, May Flaum, Michelle Clement, and Vivian Masket. Digital scrapbookers: Anna Aspnes, Aaron Morris, Amy Mallory, Amber Ries, Melanie Grimes, Lynnette Penacho, Jana Morton, Erin Clayton, Kayleigh Wiles, and Katrina Kennedy. Scrapbookers who make paper, digital, and hybrid pages: Paula Gilarde, Celeste Smith, Betsy Sammarco and Wilna Furstenberg. UPCOMING TOPICS & TEACHERS | September's issue is "Design Play" with Emily Pitts, Vivian Masket, Amy Mallory, Kayleigh Wiles, and Lisa Dickinson. The October issue shows you how include "current times" into your pages with Kelly Purkey, Doris Sander, Keandra Willis, Paula Gilarde, and Lynnette Penacho. In November we focus on texture and dimension and December's issue is all about focal points. GIVEAWAY | Two people will receive a copy of Don't Say Cheese! by Rebecca Cooper for Ella Publishing. Rebecca Cooper is back with a new photography guide that's all about taking photos of kids. 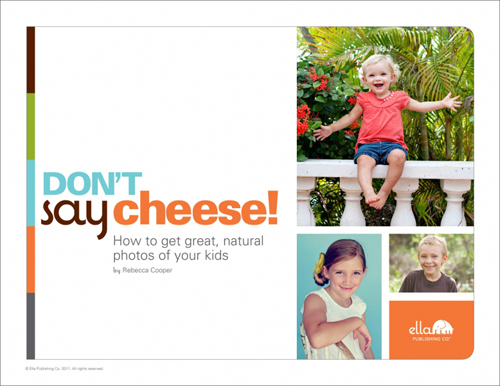 This 52-page downloadable eBook is packed with 247 tips, tricks, and ideas to help you capture your children's real smiles and authentic expressions—images that show who they really are (and go far beyond asking a child to just "say cheese"). Drawing on Rebecca's years of professional experience with children's' photography, this eBook is divided into sections specifically for children, toddlers, babies, and newborns. With all this, plus the bonus Photo Games and Checklists section, you'll be capturing real smiles in no time at all—and having a great time with your kids along the way. Save the cheese for your pizza and try Rebecca's tips for photographing children instead! You can check out Rebecca's latest eZine article for Ella Publishing here, where she shares a few photo game ideas for making photos fun for kids. GIVEAWAY | One person will receive a year’s worth of the This & That kits—12 kits in total - from Kerri Bradford Studio. A $180 value! FOR AN ADDITIONAL CHANCE TO WIN | Like Kerri's Facebook page for a second chance to win. Kerri Bradford’s ‘This & That’ kits are a unique concept that combines both digital images and shapes for digital craft cutters (Cricut/Silhouette/etc.) to make a dimensional home decor item for all year long. Everything is sized and trimmed as needed for the 7 gypsies tray so there is no thought involved! Adhere each piece to the tray with magnets to keep them secure for the month, then simply swap them out for the next month. The kits include these file formats: SVG, STUDIO (Silhouette), DXF, Illustrator version 8, and PNG. Please Note: There is one little hiccup with using it with your Cricut though. You must have earlier versions of SCAL (Sure Cuts A Lot) or MTC (Make The Cut) in order to use it (like before April-ish of this year). SCAL and MTC can no longer work with Cricut machines. If you don't have a digital craft cutter? No problem. You can create it all digitally (adding shadows, etc.). You can also cut some of the simpler components by hand to get the multidimensional look if you wanted to. There are several people who do it this way and love the results! These kits are not just for the tray either. 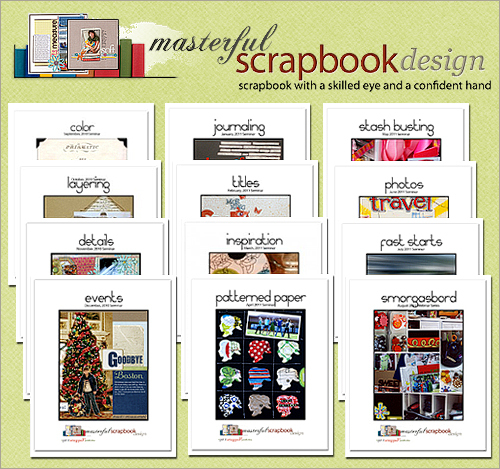 Use the components to create other amazing craft projects for scrapbooking and card making. Use it as a gift! These are a great Christmas or birthday gift idea! Buy one kit and however many trays you need and create away! You can purchase the 7gypsies tray directly from their website or from online digital stores such as Two Peas In a Bucket or places such as Archivers. 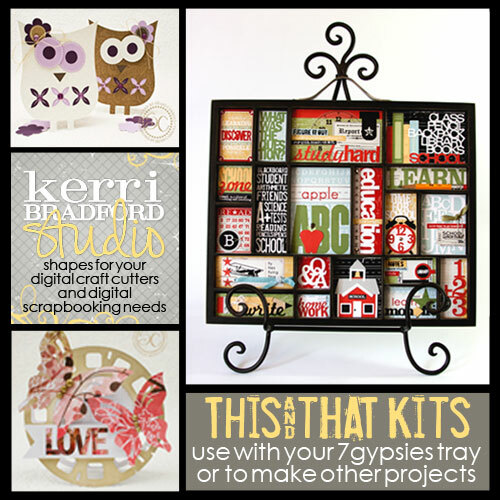 Kerri’s ‘This & That’ kits are on sale for 30% through Sunday, so don’t miss out! Kerri offers shapes, images and digital content for your paper crafting needs. You can check out all her kits here. ABOUT KERRI | Kerri’s ‘official’ scrapbooking journey began 12 years ago, particularly after winning very first Creating Keepsakes’ Hall of Fame contest. Since then she worked her little fingers to the bone creating pages for the magazine and then eventually for QVC, working with Lisa Bearnson and Kristy Banks. After six years of ‘being paid to scrapbook’ (really? ), Kerri moved to the ‘behind the scenes’ of the industry, creating art for CK’s Kit of the Month program. She also managed to mix in a couple of Cricut cartridges and teach from time to time. After CK, she created art for Silhouette. This past year she started her own business creating art primarily for digital craft cutters—with a little bit of other ‘fun’ mixed in here and there. She also created the Turquoise edition for Becky Higgins’ Project Life. She loves being with her family most, with traveling and photography coming in at a close second and third. She also loves doing what she’s doing right now because she gets to create fabulous stuff and connect with people all over the world! TO BE ENTERED into this giveaway please leave a comment below (if you are reading this post on Facebook please come to my blog to leave a comment). Comments will be closed at 8pm Pacific on Sunday and the winner posted shortly after. Please be sure to check back or subscribe (click here to get posts delivered to your email box) to see if you are receiving one of the items this week. I feel lucky!! Thx 4 gr8 op!! More awesome giveaways! Thanks for the chance Ali! This giveaway is amazing--what a thrill to win that. The ella book on taking better pictures of kids is definitely on my wishlist! Amazing giveaway! Thanks Ali for all the inspiration you put out in front of us. Just finishing up my WITL, and I do appreciate your video and pics. Really helped me tie up my loose ends and pull it all together, so thank you so much for that! What an awesome giveaway! Thanks so much, Ali! Awesome giveway! Thanks! I hope!!! Great giveaways this week! Thanks Ali! great sponsors today!!!! Thank you so much for the chance Ali! Thanks for the fabulous giveaways!! Thanks for the giveaways! Have a good weekend. Great giveaways again! Thanks for the chance to win. Amazing giveaways! Thanks so much for sharing these! Such awesome creativity! Thanks for the great giveaway. Each one of these prizes are terrific! great idea for a book! very cool! Wow! What fun stuff to win! Thanks! Great give aways! Thanks for the chance to win. One can never learn too much about design.